Of all of the young discoveries who made their recording debut for Blue Note in the 1960s, Herbie Hancock was the most significant. A major innovator for over a half-century, Hancock typically started his career with an album (1962's Taking Off) that was full of accessible tunes (including his original "Watermelon Man"), exciting hard bop and innovative music that was beyond category. By the time he recorded Maiden Voyage in 1965, Hancock had been a very important member of the Miles Davis Quintet for two years and had already led five albums for Blue Note. Maiden Voyage, which teams Hancock with Freddie Hubbard, George Coleman, Ron Carter and Tony Williams, is a true classic. Each of the five Hancock originals, which include "The Eye Of The Hurricane" and the future standard "Dolphin Dance," inspire the musicians to play at their very best, the music is both accessible and unpredictable, and the communication between the players is consistently magical. During a time when most jazz could be categorized, the music on Maiden Voyage was beyond any easy description for it had never been heard before. Nearly 50 years later, it still sounds fresh and innovative. 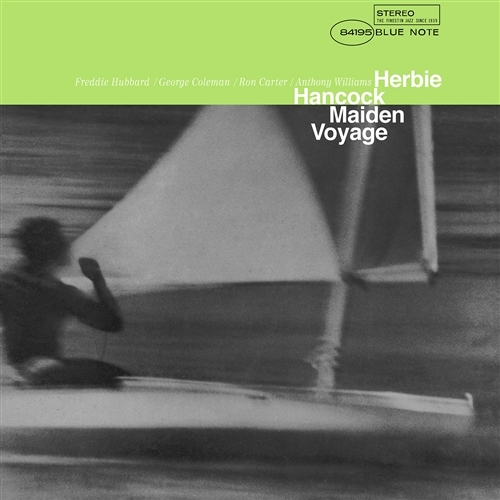 Even the many Blue Note collectors who already have a version of Maiden Voyage will want to acquire this essential new set because the sound quality is simply superb, allowing one to hear every moment of this timeless album.